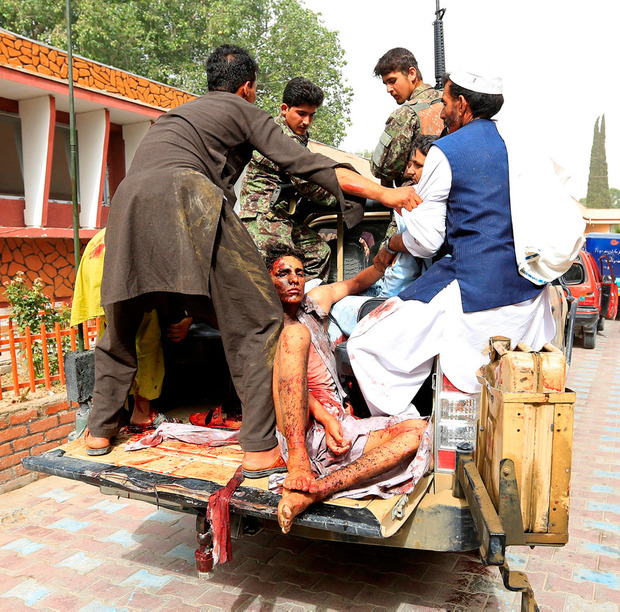 Najibullah Kamawal, director of the provincial health department, said another 60 people were wounded in the attack, which struck a crowd of people as they left the governor's compound in the city of Jalalabad. "The ceasefire was announced by the Taliban for just the three days of the Eid holidays, which have come to an end this Sunday evening," Taliban spokesman Zabihullah Mujahid said. "All Mujahidin (Taliban) should continue their operations against foreign invaders and their puppets."